Are you getting the best available movers in Glendale? We’re here to make sure that you do. You shouldn’t have to be stressed out about the assembly, disassembly, packing, and unpacking process. You shouldn’t have to be doing all the work in logistics when it comes to planning how your move is going to go. 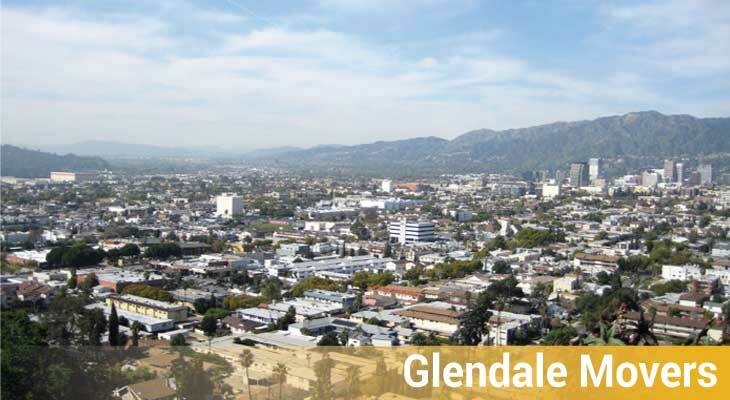 Why not let the best Glendale Moving Company out there help you out? Our company is ready and willing to make your move easier than ever. We have worked with plenty of families and businesses to do just that. Customer satisfaction scores are amongst our top goals on par with safety of our employees and transported goods. Online listings such as Yelp and Google Local have few of the testimonials of our many clients. Give us a call if you are ready to start your move, we’d be happy to help! Finding the right Glendale Moving Company isn’t always an easy process. But we’re here to make sure that it can be. Are you ready movers in Glendale that actually personalize their services in order to fit your individual needs? That’s right, we understand that we are working for you, and it is a privilege to be able to do so. That’s why we handle the packing, assembly, disassembly, and unpacking exactly how you want us to. We’ll work under your instructions and we’ll help you to develop a comprehensive plan for your move before it even starts. Did you realize that a number of movers in Glendale aren’t properly insured? That’s putting you and your valuables at risk. You shouldn’t have to pay more than you planned for your move, but you might have to do just that if you are put in a position of financial liability due to damage or injury. With our Glendale moving company, you won’t have to worry about any of that. Our business offers clients insurance packages that they can choose from, all above the state mandated minimums. If you are moving in or out of Los Angeles County, it’s easiest to do it with us! Getting an easy move is the goal of most people in California. If you are ready to take the next step and work with the top movers in Glendale, give us a call today. We’d be honored to work with you and make your job easier. Whether it is packing, unpacking, or the assembly and disassembly of furniture, we want to make sure that you get exactly what you want out of your move without any hassle. Give us a call today and we’ll help you make that happen!